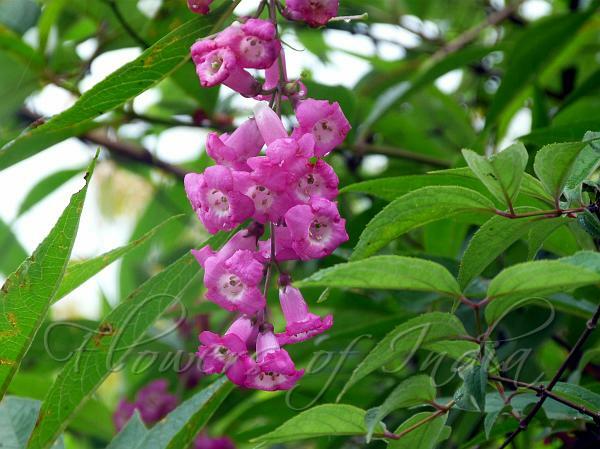 East Himalayan Butterfly Bush is a large shrub or small tree native to the eastern Himalaya region, from E. Nepal to Sikkim. It is characterized by beautiful flowers in stunning color. The flowers are arranged in drooping panicles, 15-20 cm long by 8 cm wide, rose or wine-red. The flowers are among the largest of any in the genus Buddleja. The leaves are up to 25 cm long, narrow, shallowly toothed, and tapered at either end. The shrub can grow up to 2-6 m tall. 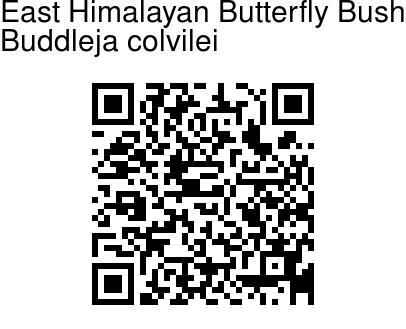 East Himalayan Butterfly Bush is found in Eastern Himalayas, at altitudes of 2700-3100 m.